Fairview Farm: A Shabby Apple Mother's Day Giveaway! 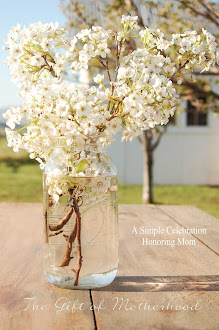 A Shabby Apple Mother's Day Giveaway! I was contacted by a sweet representative from Shabby Apple the other day, and asked if I was interested in a dress giveaway. I have perused their lovely site before and really like their vintage style, modest, and adorable clothes. Of course, I was on board....and what a FUN Mother's Day giveaway! They even have darling maternity dresses! So, I am going to host this giveaway until Friday and then choose one winner who will receive a $50 gift card to use toward the purchase of any dress on Shabby Apple. You can pick out a little Mother's Day gift for yourself...or for a special someone:). Visit Shabby Apple and tell me which dress you would love to have AND "like" Shabby Apple on Facebook...click HERE. One entry per person, please:). Also, make sure that you leave a way for me to contact you! *I am extending this giveaway another day..I hope you don't mind! I have some sick little ones that need my attention:). Be back Friday sometime to announce the winner! What a great give-away! The New Caledonia dress would be so fun to have as I travel this summer. I love the Joie de Vivre dress. Bummer that they don't have my size currently available. I like Shabby Apple on FB. My favorite is the Joyride polka dot dress. So classy! I love that they give you lots of different views of each dress online. Thanks for the giveaway. I do not have facebook so I couldn't "like" them, but I do love their clothes!!! Reminds me of a simpler time. I love the yellow one that you picked out and I also love the one called "the heart of me". Thank you for hosting. What a special treat. pina colada all the way to town baby! Would be perfect. I love the primavera dress. I like Shabby Apple on facebook. I liked Shabby Apple and love the Mariposa Grove dress! What fun and thanks for the opportunity to win. I liked Shabby Apple on facebook and really like the North Shore dress, the color is beautiful and the flowers are fun and I used to live on the North Shore of MA, all around i think it was made for me. Well that was my first ever visit to Shabby Apple. I did not see anything that I wouldn't want. Ponderosa caught my eye. I had a dress similar to it once. Love the plaid, the puffy sleeves and the fact that there is bit of forgiveness in the midsection. Oooo...I love the San Gabriel dress! Also liked Shabby Apple on FB. Unfortunately, I don't have a Facebook account but I absolutely adore the North Shore aqua dress. As a mama of two I rarely get the opportunity to dress up or even buy dress up clothes for myself but I miss it SO much. Love all the dresses! The Mama Mia dress is beautiful. It's so hard to find long maternity dresses. I followed Shabby Apple on Facebook. I don't have facebook julia, but wee doggy if I did, I'd like em' in a ham sandwich of a minute! My favorite is the Machu Picchu Dress. YAY! I LOVE Shabby Apple. I've been a longtime fan (on fb too) and on their website. I love the new Blue Eyes dress..so pretty! I never wear yellow, but there is something so enchanting about the TUILERIES dress. I have the sweetest woolen cloche hat that would suit the dress perfectly. Thanks for the opportunity to win. Ok, I like them on fb. And I would love to get the Heart of Me dress! What a fun Mother's Day give-away! I like Shabby Apple on FB. I would love the Volcano at Midnight dress (http://www.shabbyapple.com/p-933-volcano-at-midnight.aspx). I am an avid follower of your blog. Thank you for all the inspiration you give to be a more focused woman of God. Blessings to you! How lovely of you and Shabby Apple to do this Julia! I love the Ivy League dress. The grey fox dress looks os cute! Fun giveaway! I like on FB and love the Bonheur Dress! I have looked and looked at Shabby Apple, but always been afraid to buy. The dresses are out of my normal price range but so beautiful! Azure Coast is just lovely! I liked it on fb; and I love the Pina Colada dress! Thanks for this!!! What a great dress shop. Too many beautiful dresses to choose from. I really love the glacier dress...looks like something Kate Middleton would wear! I adore the Pina Colada dress! It's just my style, and would be a great Mother's Day gift. Thanks for posting such great finds. I come on your blog atleast 3 times a day :) Thanks for taking time out time to post all the great things you do! Yay! What a lovely giveaway! I like the Alice dress, and the Confidential dress. Likely because they are almost exactly the same haha! Fun! I love so many things at Shabby Apple! But right now I have my eye on the "Green with Envy" maternity dress as I am 30 wks pregnant. I love the Pina Colada dress for after the baby arrives! :) I also "like" them on FB. Thanks for the opportunity! I liked this awesome company on facebook...and I loved ALL of the dresses on their website, but I have to say that the Serenade dress is totally me ....in the dark blue. HAHA! I like Shabby Apple on FB and I think the Summer Wind Dress is adorable! What a fun give away!! It is hard to pick just one of their dresses but I'll have to say Martha's Vineyard wrap. What an awesome giveaway! So hard to narrow it down to one dress, since they are all beautiful, but I love the Bali Ha'i dress. I love the Fresh water Pearl Dress. It is so elegant. You could dress it up or down being it is white. Simple. I would have never found this site had you not had the offer. I love how they have conservative style. I like Shabby Apple via FB. I love the Overboard dress. The lovely ladies on our farm choose the Pina Colada dress! We have liked Shabby Apple on FB too! Thank you Julie! Hi Julia, I love the "Yellow Days" dress. I have been wanting to commend you on your site. Blissfully Content is just how I feel after reading your posts. I have enjoyed your wonderful recipes and stories. I have also learned so many ideas and good things from you. I want to thank you for sharing with us. I am so excited about your bees too! I liked the on facebook also! I just love the overboard dress!! I love the Ahoy! dress! Love the Desert Modern...perfect for the approaching hot summer days...here in our own desert at that!! Ohhh DERN...and my contact info for my post/entry: rkrees@hotmail.com Thank you!! I really love the North Shore - pleated dress...so cute and looks so comfy:) I liked Shabby Apple on Facebook. Thanks!! It's hard to decide but I think I like the simple Toe The Line dress. I am heading over to "like" them right now!! LIked on FB! I'd get the Green with Envy! It's hard to pick out of all those fun dresses. Maybe the "waterfront" dress or the "SPQR." What a fun giveaway! I liked them on Facebook also. I love the Ipanema dress! I also liked them on Facebook. I so love their dresses. What a great giveaway! Classic Cocktail : Bloody Mary.